John Ellis follows this topic more closely than most of us do. He has also taken the concept of “free” to a far-reaching conclusion: if email service can be given away for free, why not cars? That question led to the title of his book The Zero Dollar Car: How the Revolution in Big Data Will Change Your Life. Today’s vehicles bristle with sensors and software, as well as communications systems. This makes them part of the Internet of Things, or IoT. Most people only drive their vehicles to get from A to B. As a result, modern cars generate oodles of valuable data. Why not use the data to learn more about drivers? Why not sell the data to third parties? Would drivers be willing to part with their privacy for a price? From there, Ellis digs deeper into each facet of the current situation and expands his arguments to various places the IoT ecosystem touches. 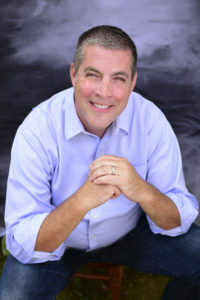 Ellis, now a consultant and speaker, spent years as an executive for both Motorola and Ford Motor Company. Tactful as he is, the theme of senior executives who “just don’t get it” keeps resurfacing in his book. He drives this point home by noting that Tesla, which sold less than 80,000 vehicles last year, has a higher market value than General Motors or Ford (though not put together), both of which dwarf Tesla in terms of units sold. If you love numbers and graphs, look elsewhere. Ellis includes some of that, but not enough to scare away the innumerate. Ellis structures his thinking using anecdotes drawn from his personal and professional life, which he often imbues with warmth and personal detail. The Zero Dollar Car is his journey towards the insights he writes and speaks about. Fortunately, he keeps this part-memoir short (my advance review copy was 167 pages) and quickly paced. I was hoping for perspectives from cultures outside the United States, where Ellis lives. He made a connection with me when he said he learned Spanish through immersion in Mexico, where he still has friends. I did the same with Spanish (Ecuador), French (Québec City) and Italian (growing up in my parents’ house). Getting back to the point that started this paragraph: the Mexican perspective on big data could offer nuances that enrich a future revision of The Zero Dollar Car. I like its brevity, but it left me with plenty of questions. I asked Ellis some of those questions. Here’s our quick QnA, lightly edited for clarity and brevity. Luigi Benetton: The upside of a zero-dollar car seems obvious. What about the downsides? 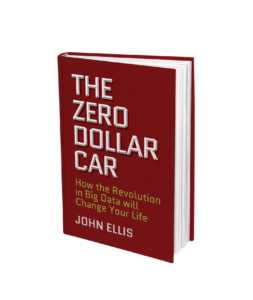 John Ellis: The downsides of the Zero Dollar Car have to do with the lack of awareness people have about their data. People can’t make effective decisions to protect themselves until they understand the system. For example, almost every email provider has been hacked. The Yahoo hack exposed over a billion users and their personal information. Automakers and technology companies want to increasingly collect more data from you. When you buy a smartphone, do you know the manufacturer and the cell provider are collecting copious amounts of data? Once you understand the system of data collection then you can decide what you are willing to give away and what you’re not. LB: Do you believe that if you don’t pay for the product, you ARE the product? JE: Companies who add sensors to their products are now software companies. In The Zero Dollar Car I explain that their product is now the data that they mine from you and resell to other companies. Given that, there’s a new fiduciary responsibility these companies have when they mine your data. My position is that companies must think about “privacy as a product” to stay relevant in the connected economy of the future. LB: Do any companies excite you today the way Motorola did when you joined it in 1990? JE: In my book The Zero Dollar Car I talk about Tesla. Tesla is a very exciting company as they are completely upending the traditional car manufacturer model. They do this in three ways. They are a “ship and remember” manufacturer. They maintain the software on the car and continually improve the user – driver – experience. Traditional automakers use a “ship and forget” model that I advocated changing while I was at Ford. Tesla (can) develop a viable product and get it to market in a fraction of (the time) traditional automakers (do). Note, I’m not referring to scale and mass production but rather software capability. Sales. Tesla is using an iPhone type pre-sale approach that builds excitement and discussion around their newest innovation. This sells cars and generates a lot of earned media coverage, removing the need for costly marketing dollars for advertising that contribute to higher vehicle prices. LB: You paint yourself as an “old-timer” in IoT. Who do you consider your peers, and why? JE: I believe I’m what’s classified as a futurist by virtue of my focus. I’ve been around IT and now IoT since its beginnings. So much so that I understand on a strategic level how and why it affects businesses. I’d rather not say “peers” but “people that I aspire to be like.” These are people who are talking about disruption in the future who look at a technology and apply the future state to our traditional business models and can articulate yet-to-be-seen changes. (These are) people like Cory Doctorow, Ben Thompson and Don Tapscott. These guys get the technology and make it accessible for a wide cross section of people. I aspire to be like that for data. In The Zero Dollar Car and in my speeches I talk about the paradigm shift in a broad range of industries. Take the auto industry. The technology innovations that make possible the shared, autonomous, electric and connected vehicles will have an impact on insurance, maintenance, roadside assistance, gas stations, rest stops and restaurants to name just a few industries. All of these businesses are going to change because the car is at the centre of their business. When the car changes, everything that services it changes. LB: What will the book’s readers learn? The Zero Dollar Car takes readers head-first into the connected world of the Internet of Things (IoT) and smart technology. It explores the concept of how data collection is the business model of the future. Every day people use smartphones, social media and smart electronics, and while doing so, their data is harvested. Technology giants like Google are currently profiting greatly from the sale of this personal information, while in exchange, people receive things like cost-free email accounts, cloud storage and other services (I introduce the term “Zero Dollar” to explain to people that there is a value exchange and right now it is for Zero Dollars). I believe the book is so important as it will help readers understand just how valuable their data is, what is currently being exchanged (consumers currently get Zero Dollars) and ultimately challenge and potentially disrupt the current data collection system. Businesses are monetizing data collection, and I think in the future people will consider that, understand it, and get in the game. You can pick up The Zero Dollar Car via Amazon or Indigo.